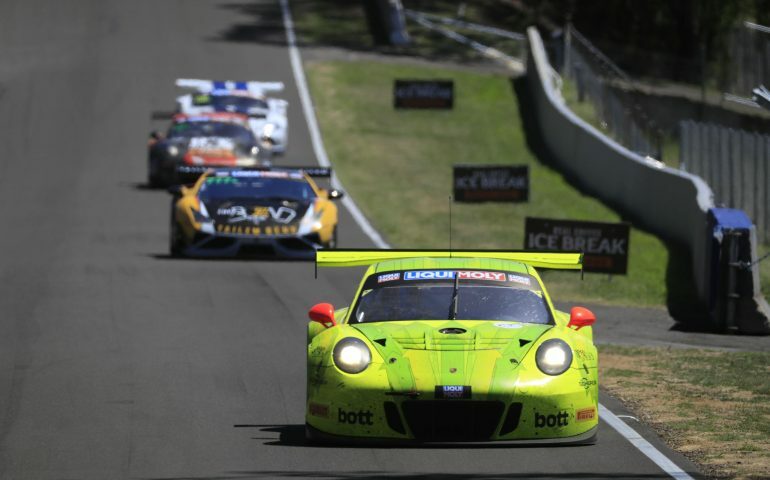 THE Liqui-Moly Bathurst 12 Hour will kick off an expanded Intercontinental GT Challenge in 2019. Promoters SRO will add a fifth venue to the calendar next year, with the iconic Kyalami 9 Hours to return as an IGTC event. The event will be held on November 2-3 next year and will join established events in Australia, the United States, Europe and Asia in a truly global series. The 9-Hour was once part of the FIA World Sportscar Championship and will be held at a recently re-vamped Kyalami circuit, located in Gauteng, near Johannesburg. Bathurst will again open the calendar on February 3, while the California 8 Hours at Laguna Seca will move to a new date in either March or April. The 24 Hours of Spa continues on it’s late July date while the Suzuka 10 Hours – which will debut later this month – returns in August next year. “The circuit is superb, it’s [been] beautifully redone,” Ratel told Sportscar365.com. “It’s sad to have such a tool and not to have an international event. The Kyalami event is expected to field a mixed grid, in the same way that the Liqui-Moly Bathurst 12 Hour permits local cars to compete alongside the GT3 and GT4 machinery that makes up a bulk of the field. The five round calendar now includes five events of varying lengths and marks the return of significant international-level motorsport to the African content. Audi have increased their lead in the 2018 standings following a strong finish in Belgium recently. While BMW scored a one-two in the 70th edition of the Total 24 Hours of Spa, it was the Bathurst 12-hour winners that scored the most points for the 2018 Intercontinental GT Challenge, of which the Belgian endurance classic was the second round. The #25 Audi Sport Team Saintéloc finished in fourth overall, increasing the German brand’s lead in the manufacturer championship. Bathurst winner Robin Frijns took the points for fourth and remains on top in the drivers’ standings. The next round of the series will see the debut of the Suzuka 10 hours on August 24-26.